The Town of Pelham and Wellspring Niagara are partnering together to provide a permanent home for a much-needed regional cancer support centre for Niagara residents. In a Memorandum of Understanding (MOU) signed on Monday, April 7th, 2014, the Town of Pelham and Wellspring Niagara agreed to work together toward the creation of a regional cancer support centre on approximately two acres of land along Rice Road at Regional Road 20. “We are so pleased to partner with Wellspring Niagara by providing the land for their permanent regional home in Pelham,” said Mayor Dave Augustyn. The MOU provides the framework in which the Town of Pelham will lease up to two acres of land to Wellspring Niagara for one dollar a year as long as Wellspring operates their Niagara Cancer Support Centre there. Renewable at twenty year intervals, the land lease will continue indefinitely or until Wellspring ceases to operate the centre. For a copy of the MOU, click here. 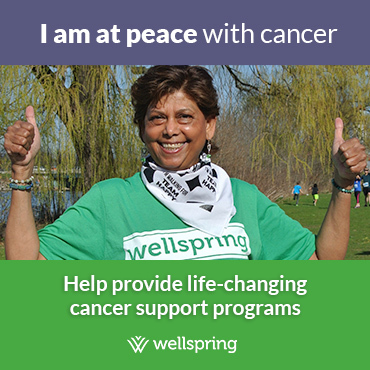 Wellspring Niagara is a not-for-profit charitable organization that offers free social, emotional, psychological and informational support to people coping with the realities of cancer every day. Since opening its doors in June 2001, more than 46,000 program attendances have been registered through the numerous programs Wellspring Niagara provides. As a not-for-profit, charitable organization, Wellspring Niagara receives no government funding and relies entirely on donations from the community it serves. Every dollar raised in Niagara, stays in Niagara. To learn more about Wellspring Niagara visit wellspringniagara.ca.